Situated along the Bega River, Timisoara is one of the largest cities in Romania, an important pole of culture and a bridge between Romania and Western Europe. The city is called "Little Vienna" as a result of rich cultural life, historical remains and buildings dating back to the 18th century. The Huniade Castle in Timisoara, built between 1443-1447 by John of Hunedoara, now houses a historical museum. In 1788 there were less than 10,000 people in Timisoara and today it is the largest city in the west of Romania, with a population of 365,000 people, including the surrounding areas. 86% are Romanians, 5% Hungarians and 1.3% Germans (2011). 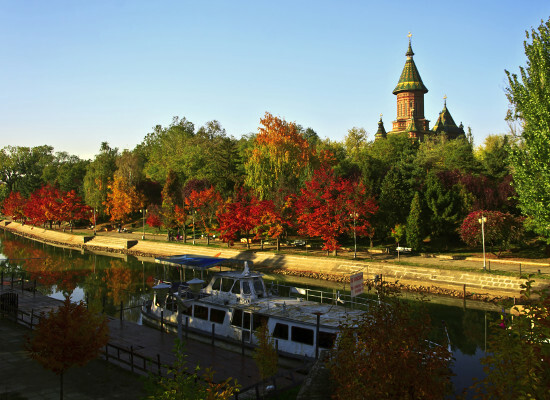 Timisoara is waiting for you with a rich offer of leisure places, an absolutely delightful promenade area on both sides of the Bega River, numerous parks and green areas as well as a European premiere: 3 Theaters in different languages: Romanian, German and Hungarian. The first ambulance station on the territory of our country was founded in 1887, obviously in Timisoara under the name "Voluntary Salvation Society". Moreover, was the second station of its kind in the Austro-Hungarian Empire after that in Vienna (1884), outrunning important cities from the Empire that were significantly larger, such as Budapest or Graz. The first city tram line with horsesis open on July 8, 1869, and is under the control of Swiss engineer Enric Baader. On this line traveled the first tram drawn by horses from the present territory of Romania. In 1760, Timisoara became the first city in the Habsburg Empire to introduce oil and light lamps for public lighting. Following the technical revolutions, the history pages record that on November 1, 1857 in Timisoara, for the first time, the street lighting with the gas produced by the distillation of the coal was first introduced and the city became once again the first in the Habsburg Empire with such street lamps .